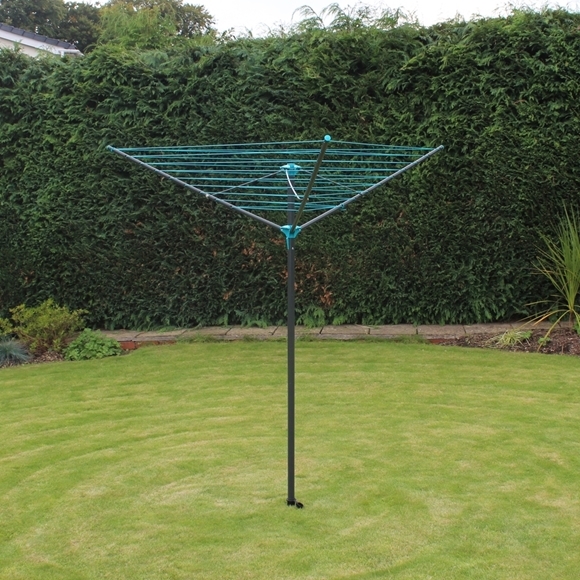 With 30m of drying area, this 3 arm rotary airer is robust and comes with an easy to use umbrella locking system. It's made from a steel frame construction and includes a ground socket for securely fixing into the ground. 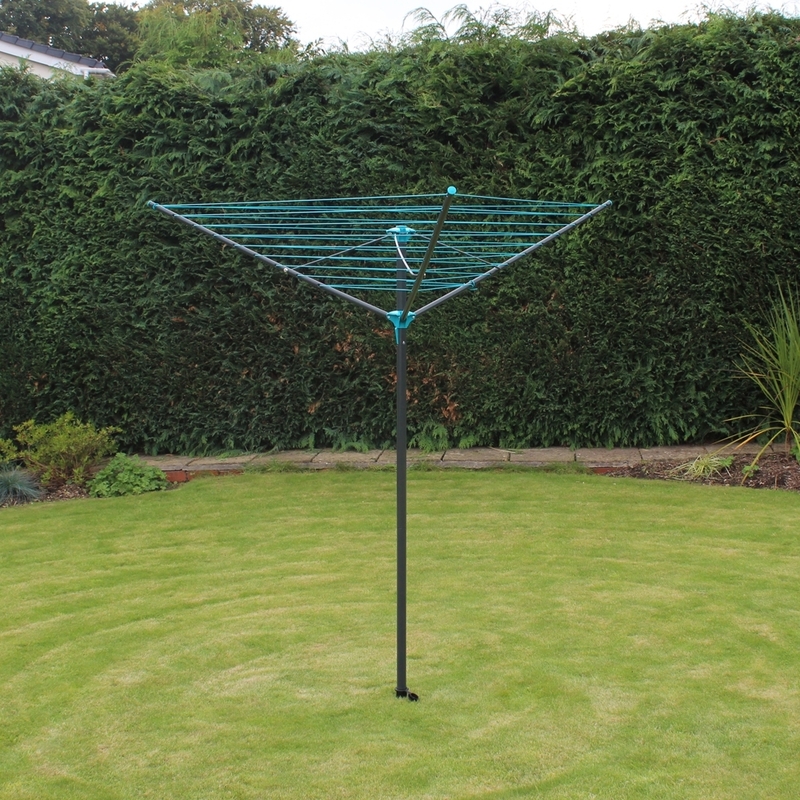 The rotary airer is fully collapsible, allowing it to be easily stored away when not in use and it'll dry a total of 25kg of washing. Size: H:183 (6ft) x rotating dia:198cm approx.